Growing up a bit of a bookworm, and raised by an academic who converted the garage into a study to fit all his books, I’ve always understood the power of reading. Starting out with comics and writing like The Hardy Boys, Nancy Drew, Aesop’s Fables and the full gambit of fairy tales (from Readers Digest) through to Agatha Christie, Louis L’Amour and Shakespeare in high school, I have been fortunate enough to travel the world and learn from the experiences of others through their written word. A few years ago, I realised I wasn’t reading as much as I felt I should and gifted myself a Kindle. I also instituted a simple policy – I try to read every night before bed for a minimum of 10 minutes and up to 30 minutes. I love physical books as much as the next person but the ease of purchasing and reading digital books ensures that I gain what is most important – the content, the knowledge, the entertainment, etc. In 2008, I discovered GetAbstract and, once I got beyond the feeling that I am missing out, have used it to extract the key aspects of a multitude of books, while also using it to determine whether I want to read the full book. As part of the Saving You Time campaign that Nashua is running, they’ve made a couple of books available. Two I would like to explore here are Stephen R. Covey’s 7 Habits Of Highly Effective People and Gary Keller and Jay Papasan’s The One Thing. 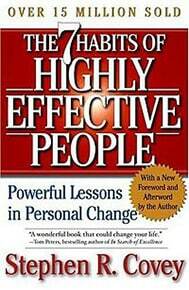 Although it came out in the early 90s, 7 Habits is a great book to start down the ‘self-improvement’ journey. It draws from the full gambit of philosophy, human experience and nature and common sense. There has been much written since but this book will give you a solid foundation from which to expand. The Abstract clearly summarises the 7 habits, which include: “Be Proactive”, “Begin with the End in Mind,” “Think Win/Win,” and “Seek First to Understand, Then to Be Understood.” I sincerely every book, every experience, every insight should be interpreted within context of our own lives and built upon. There is no singular manual and one must consume as much as one can to be able to carve their own life out of this reality. You won’t go wrong with this. Check out the summary and then delve into the book itself. 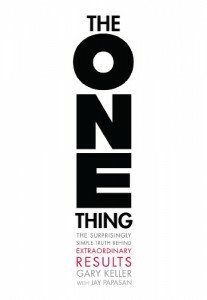 I’m actually currently reading The One Thing on recommendation of a friend and it reinforces what I have come to learn the hard way, that multi-tasking is a lie and that it is important to focus on one thing at a time. Since last year, my mission has been to ‘single task’ like a champ. Coming from working with at least 5 browser tabs open, email (with three email addresses), 3 articles in progress and all social media open, not to mention two smartphones within close proximity, it is still very much work-in-progress. Keller and Papasan list ‘purpose, priority and productivity’ as the key formula to reaching one’s goals.